Bethesda has announced it E3 2019 showcase. Along with Doom Eternal they are showing they have a lot of stuff planned. At least that is what we hope they will show as we only got a statement where they are trying to get us hyped for the showcase. Start speculating! Refresh Walmart Canada!! But most importantly… mark your calendars! E3 is coming, and on Sunday, June 9 (5:30 p.m. PT), Team Bethesda returns to Los Angeles for our 5th Annual Bethesda E3 Showcase. It’s going to be a hell of a night. We have got an in-depth look at Doom Eternal plus much, much more. We want to “Be Together” with all of you this year and with that in mind we are planning to invite more of you, our biggest fans, to join us on our biggest night of the year. Official invitations—with additional event details, including how to register for a chance to attend this year’s showcase—are coming soon. 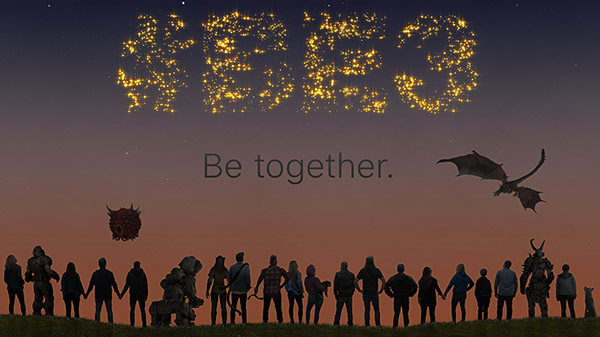 Don’t forget to share your thoughts using #BE3 on social media. During our pre-show, we will be highlighting fan photos that use the hashtag. This entry was posted in action, adventure, comedy, mystery, PC, platformer, PS4, shooter, Uncategorized, xbox one and tagged Bethesda/bethesda, Doom Eternal/doom eternal, Electronic Entertainment Expo 2019/E3 2019/electronic entertainment expo 2019/e3 2019. Bookmark the permalink.